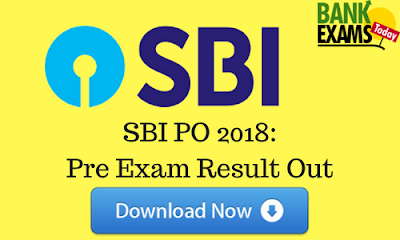 State Bank of India(SBI) has recently released the Preliminary Exam Result for the post of Probationary Officers. SBI has released the list of Registration Numbers of Candidates Shortlisted for Phase - II(Mains Examination). Phase - II (Mains Examination) will be held on 04/08/2018. Candidates are advised to download Call-Letter for Mains Exam from 20-07-2018 onwards.